Meza's position oversees UNO International Programs; UNMC International Health and Medical Education; and Asia Pacific Rim Development Program. 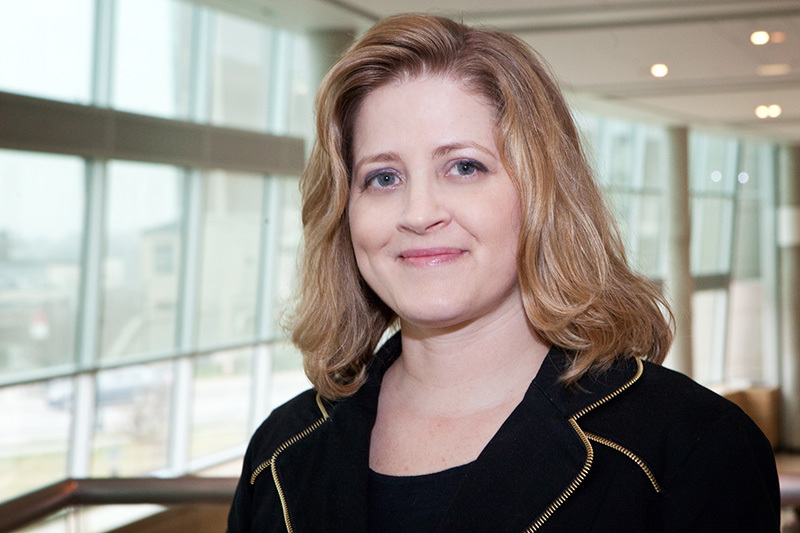 Jane Meza, Ph.D., has been named the inaugural associate vice chancellor for global engagement at the University of Nebraska Medical Center (UNMC) and the University of Nebraska at Omaha (UNO) effective July 1. The University of Nebraska Board of Regents is expected to approve this position at the August meeting. 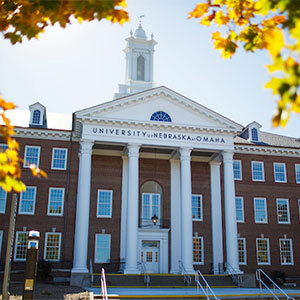 This position oversees UNO International Programs; UNMC International Health and Medical Education; and the Asia Pacific Rim Development Program. She has been serving in that position on an interim basis since January 2017. Jeffrey P. Gold, M.D., chancellor for UNMC and UNO, said he’s impressed with Meza’s accomplishments over the past 18 months and her plan for future growth. “Dr. Meza has taken our organization’s global initiatives to the next level. She has gone beyond expectations to coordinate the international offices and introduce leadership training to market our organization’s programs around the world,” he said. Meza reports to the senior vice chancellors for academic affairs at UNMC and UNO. Dele Davies, M.D., senior vice chancellor for academic affairs at UNMC, said Meza has proven to be effective and has brought energy and initiative to the role. “She has been a strong advocate for the needs of international students and visiting scholars and has expanded overseas opportunities to grow our international student body on both campuses. “I am delighted that Dr. Meza has agreed to permanently take on this important leadership role for both campuses,” Davies said. UNO Senior Vice Chancellor for Academic Affairs B.J. Reed said: "Over the past year, Dr. Meza has demonstrated significant breadth and depth of global affairs and has worked well with UNO international affairs staff as well as academic and student affairs leadership to move the organization in a positive direction. She also has helped solidify our growing relationships with UNMC to increase global and international initiatives that affect faculty, staff and students across both campuses." UNMC and UNO established the position in 2016 to cooperate and collaborate on global engagement issues related to their mission areas of education, research and service. The two campuses identified opportunities for collaborations in areas related to the development and implementation of global engagement activities and programs, both on-campus and overseas. A biostatistician, Meza joined UNMC in 2000 after receiving her Ph.D. in statistics from the University of Nebraska-Lincoln. She served a 10-month stint as interim dean of the College of Public Health in 2013-2014. In 2014, she was named senior associate dean of the college, a position from which she will step down. Ali S. Khan, M.D., M.P.H., dean of the College of Public Health, said Meza has been a leadership outlier at the College. “She will be missed. As she was a tremendous talent, it was highly probable that she would be asked to grow the global activities for both universities. I am excited to see the future of our global program under her exemplary direction,” Khan said. Initiated the American Council on Education (ACE) Internationalization Lab at UNMC and in partnership with the members of the UNO ACE Internationalization Lab. The purpose of the lab is to develop a blueprint for how both institutions will become global leaders. Developed health care and administration management training modules for marketing to global partners in China, Oman and elsewhere. Coordination of immigration services between UNO and UNMC. UNO’s Intensive Language (ILUNO) program was accredited by the Commission on English Language Program Accreditation. The Chambers Fellowship program awarded funding for three students to travel for international research. Launched the 2018 International Student Research forum that was held last month in Australia. UNMC hosted its first visiting Fulbright Scholar under the Outreach Lecturing Fund Program. UNMC and UNO hosted ambassadors from Denmark, Tajikistan and four ambassadors to the Omaha Ambassador’s Forum. Developed new international collaborations with Kazan State Medical University in Russia; and growing collaborations with Capital Medical University in Beijing, Anahuac University in Xalapa, Mexico, and Zengzhou University in Zengzhou, China. Created a University of Nebraska-funded study abroad program focused on public health as a collaboration between UNMC and UNO. Developed many UNMC and UNO templates for international agreements.